World map sticker of the famous Indian Ocean. Perfect wall decal for those that know about this ocean and its history. 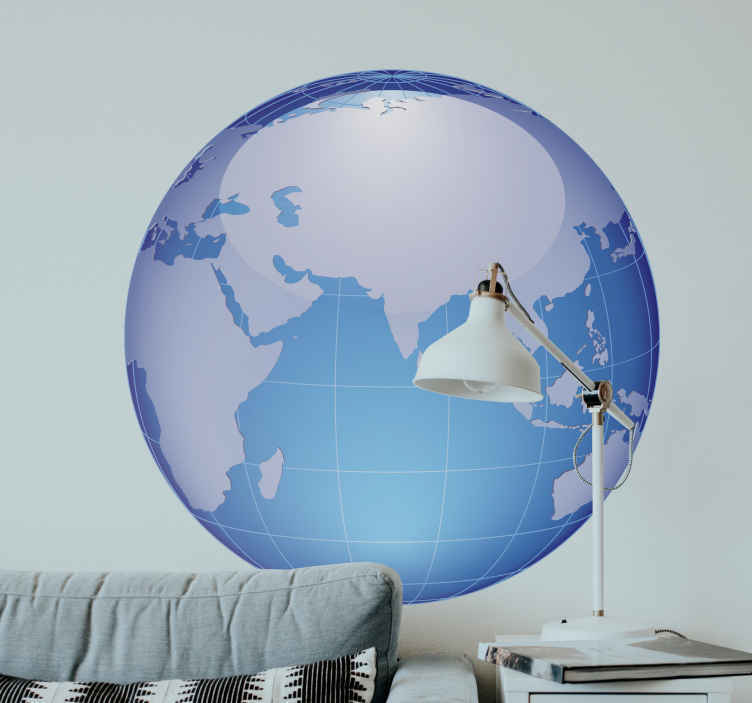 A magnificent wall sticker of this fantastic Ocean and also of the African, European, and Asian continent. You can place this sticker wherever you want and you will still remember everything you know about these continents including the Indian Ocean. Available in different dimensions. These stickers are made to be easy to apply!